the financial industry but when a leading national newspaper would opine that regulation which might lower bank profits would be “a boon to the broader economy.” What’s worse is that such a view is far from entirely illogical, even if it fails to distinguish between Wall Street banks who, in my view, were central to the financial crisis and continue to distort our economy, and Main Street banks who were often victims of the crisis and are eager, under the right conditions, to extend credit to businesses that need it. It is no consolation, moreover, to observe that banks and the financial services industry generally were far from alone in sparking the crisis. Nonetheless, it is true, and very much worth keeping in mind, that major institutions in other sectors of the American system – public and private – must be considered complicit, some in ways we are only beginning to learn fully about. As understandable as a search for particular causes, or villains, might be, the truth is that the economic crisis that began in the fall of 2007 implicated a wide range of institutions – not only bankers but their regulators, not only investors but those paid to advise them, not only private finance but its government-sponsored kin. The wide spectrum of the culpable has left the U.S. and the world with a problem which, although related to the financial crisis, transcends it and must be confronted: the decimation of public trust in once-respected institutions and their leaders. This has created a fear among those responsible for forming the rules and standards that shape the American financial services industry. And the outcome of this fear-driven rulemaking is likely to burden the efficiency of the American financial system for years to come and will potentially have broader implications for the overall economy. Nor can one say with any confidence that we have seen a fundamental change in the big bank business approach which helped lead us into crisis and scandal. The Wall Street banks continue to fight against regulation that would limit their capacity to trade for their own accounts – while enjoying the backing of deposit insurance – and thus seek to keep in place a system which puts taxpayers at high risk. In 2011, the six largest banks spent $31.5 million on lobbying activities. All told, the six firms employed 234 registered lobbyists. Because the Wall Street juggernaut has tarnished the reputation of banking as a whole, it is difficult if not impossible for bankers – who once were viewed as thoughtful stewards of the overall economy – to plausibly play a leadership role today. Inevitably, their ideas and proposals to help right our financial system will be viewed as self-interested, not high-minded. As noted before, however, the major banks were not the only ones implicated in and tainted by the financial crisis. One can, sadly, go on in this vein to discuss a great many other institutions which have disappointed the American public in similar ways, in the process compromising their own leadership status. They have in common a relationship to the crisis associated with the nation’s housing policies, which were themselves shaped over the course of several generations by many parts of the government and both political parties. Those policies marshaled some of the leading government agencies and enterprises, as well as private financial institutions, in the quest to broaden home ownership. Even apart from the collateral damage this pursuit has caused the financial system, it is worth keeping in mind that it was not remarkably successful on its own terms – particularly when today one finds a higher rate of home ownership in countries such as Hungary, Poland and Portugal, where the per capita GDP on average is 56% lower than that of the United States. So it is that the crisis was orchestrated by so many who should have, instead, been sounding the alarm – not only bankers but also regulators, rating firms, government agencies, private enterprises and investors. That a former U.S. Senator, Governor and CEO of a big six financial institution was at the helm of MF Global on the eve of its demise due to trading losses, or that the largest-ever Ponzi scheme was run by the former chairman of a major stock exchange will long be remembered by the public. The repercussions have stretched beyond banking, creating an atmosphere of fear affecting and inhibiting those who should be leading us toward a better post-crisis economy. In this vacuum of credible leadership, not just in the banking industry but all around it, it is entirely understandable that regulators believe they must proceed with an abundance –perhaps over-abundance – of caution. Inevitably, they feel pressure to eliminate, in its entirety, risk that had been rising for far too long. This tension – based in their understanding that steps aimed at ensuring the safety and soundness of the financial system can stifle its vitality and dynamism – naturally weighs on rulemakers and slows the pace of promulgation. They know too, that, in designing regulations, the sort of informal conversations with private institutions and individuals, which were once routine, might now be viewed as suspect, leaving regulators to operate in isolation, without thoughtful guidance as to the overall impact of their actions. When all are suspect, no conversation can be viewed as benign. Ultimately, however, this is neither a recipe to improve public confidence nor a situation likely to facilitate the expeditious design of a regulatory structure which will not hobble the extension of credit. One must be concerned that a lack of leadership and trust, and an overreliance, instead, on the development of policies, procedures and protocols, has created a level of complexity that will decrease the efficiency of the U.S. financial system for years to come – and hamper the flow of trade and commerce for the foreseeable future. Nor is there any apparent end in sight to the imposition of new directives and rules. The Dodd-Frank Act contains, by one estimate, 400 new rulemaking requirements, only 86 of which were finalized by the start of 2012. It is impossible, of course, to assess our full cost to comply with these rules until they are promulgated. By virtue of having more than $50 billion in assets, a measure of size, with no consideration given to the activities in which we engage nor the merits of our actions, M&T has been deemed to be a “systemically important” financial institution and will be subject to higher capital standards as well as costly new liquidity requirements. A common feature of many of these new directives is a higher order of complexity than had heretofore been typical, particularly for Main Street banks like M&T which do not engage in excessive risk-taking and rely on fundamental banking services as their primary source of income. Utilization of these opaque and intricate methods as a means to prevent a crisis is at best questionable. It is no small irony – it is, dare I say, a bitter one – that these costly requirements have been visited on a company such as ours and hundreds, if not thousands, like us who did little or nothing to cause the financial crisis – and were, in fact, in many ways victims of it. And, of course, the higher costs along with higher capital and liquidity requirements will inevitably diminish the availability and increase the cost of credit to business owners, entrepreneurs and innovators of our community. Indeed, one has the sense that little or no thought has been given to the cumulative effect of new directives, both on costs and operations. One wishes, thus far in vain, for a clear, complete, simple and straightforward regulatory regime in which both consumers and banks know what to expect and could proceed accordingly, at reasonable expense. In this context, one has to be concerned about the accumulated effects of new mandates beyond the narrow terms of how they affect banks. More broadly, there is reason to believe that regulation may provide incentives that distort the allocation of capital in ways that could be harmful to economic recovery. Specifically, there are incentives for commercial banks to divert from their traditional roles – the same sort of activities which helped spark the housing bubble. The proposed Basel III liquidity rules, for instance, call for banks to significantly increase their investments in government securities, leaving less capital for community-based loans which hold the most promise for potential economic progress. New formulae from the FDIC are likely to have similar inadvertent consequences for the economy. Last spring, the FDIC began assessing insurance premiums based on assets rather than deposits, which it had done since its inception in 1933. As a result, a loan to finance the construction of a company’s new building, an activity that produces jobs, carries insurance premiums that are three to four times as high as for commercial loans extended for unspecified purposes with no need for employment creation – arguably the greatest necessity of the current economy. Even more troubling is the fact that, under this formula, the mere association with real estate deems construction lending more risky regardless of how sturdy one’s underwriting or how much “skin in the game” the entrepreneur is willing to commit. Nor is the damage from new mandates and regulation merely projected or prospective. Many are already proving to be counterproductive for businesses and consumers alike. The Durbin Amendment, for instance, was supposed to reduce costs for merchants. Instead it has resulted in higher transaction processing fees for some small business owners. According to The Wall Street Journal, many business owners who sell low priced goods like coffee and candy bars are now paying higher rates, when customers use their debit card for transactions that are less than $10. These small merchants now are left with some hard choices, such as raising prices, encouraging customers to pay in cash or dropping card payments altogether. The breathtakingly rapid pace of changing regulations makes it challenging for banks and regulators alike to understand the changes, let alone react to them in an efficient manner. The fact that there are so many masters to whom banks today report makes it difficult for one hand to know what the other is doing, whether it relates to coordination among the various regulatory bodies or even among the various divisions within a single agency. So it is that the effects of crisis, combined with a void of leadership, weigh on banks such as ours – and encumber the economy. We find ourselves at a point at which, we face not only the question of what approaches are right but how, in light of a leadership vacuum, can we restore our capacity to work together constructively and productively. It is no small task, given the number of agencies involved and the decibel level of politicians and the public at large. We will not, in my own view, be able to make progress absent two key ingredients: trust and leadership. We must again have the sense that leaders, both public and private, will do their best to propose and consider ideas that will serve the general interest, not their own agendas. To help recognize and preempt emerging new threats, it is crucial that there be an ongoing, at times informal, dialogue among bankers and regulators. Such exchanges would plausibly put focus on rising issues like cyber-crime that has already cost the American banking industry some $15 billion over the last five years. More importantly, these discussions should be premised not on confrontation nor framed by fear but, rather, based on the understanding that a safe and secure financial services system is a prerequisite for a healthy economy –arguably our most important, shared national goal. I know that we would be eager to share our own collective learning with the Federal Reserve and other regulators in order to allow them to understand the extent to which regulatory changes are likely to affect the general well-being of our economy. I am sure other Main Street banks would be eager to do the same. Our goal is not to seek favors or special dispensation – but rather to have the chance to do our part in helping to craft a regulatory regime that does not impede, but rather enables sustainable economic growth. In reflecting on my years in banking and the situation we confront today, I am mindful of the fact that banks have traditionally played a clear, if limited, role in the economy: to gather savings and to finance industry and commerce. Trading and speculation were nowhere included – nor should they be. Historically, bankers, moreover, were viewed as among the more responsible and ethical members of their communities. In my view, the vast majority still are and have been ill-served by those whose non-traditional approach have caused banks to be the targets of public opprobrium. Such is the case of the British banker who was recently stripped of his knighthood in the wake of his role in the financial crisis. It is time for regulators and, yes, protestors, to understand that all banks have not been equally culpable for the problems we face today. In other words, give us back our good name – and we will do our best to deserve it. Many people would put reputation risk at the top of their list of the most important risks to their firms. However, their very next conclusion is that since a good reputation is something that you either have or you do not, then it is not very manageable. By thinking of Reputation Risk as a cliff, there seems to be very little to monitor or manage. There are several problems with this view. First of all, reputations can be destroyed in many ways. 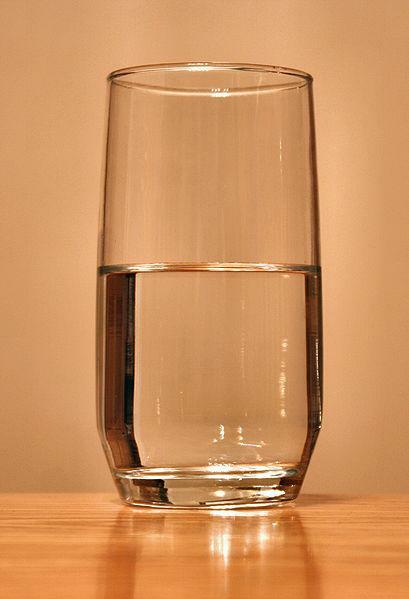 Think of a reputation as a glass and a spill of water from the glass as a busted reputation. The glass can be made to overflow all at once with one big pour of water from a large pitcher, or it can be made to overflow by a long slow steady set of small drips. Usually hits to the reputation are caused by problems that come from other risks that the organization faces. Each risk of the firm should be examined and the degree to which a reputation problem might arise from the risk identified. Moderate risks that have a significant potential reputational hit probably should be elevated to be treated among the major risks. The incidence of the small hits to reputation can and should be tracked. The impact of these events upon the reputation also can and should be monitored. They are monitored by constantly checking with customers and potantial customers about the reputation of the firm. So if these hits to reputation are tracked, then actions to improve reputation can be undertaken and efforts redoubled when these hits reach a critical level. This means figuring out the ways to take the water back out of the glass. Also, the other major way to manage reputation risk is to plan ahead for the response to major reputational problems. One of the major differences between situations where firms have been devastated by reputation damaging events and firms that have quickly recovered from similar events is the degree to which the firm has a rapid and sure-footed response to the event. These types of repsonses can only come from advance planning and preparation. That is not to say that a firm must anticipate every possible reputation damaging event. However, it is important to anticipate a wide range of events. The anticipation and advance planning may prove to provide the exact plan for a specific event that comes up, but more likely what the exercize will provide is some experience in formulating the types of responses needed. Managers who have participated in these exercizes will be more likely to perform as needed when the real reputation hit happens. Finally, there is one type of reputation risk that is real, but is used often as a red herring to distract risk managers from the main reputational risks as described above. This is the risk from an undeserved blow to reputation from the mdeia, regulators or courts. This is something that can and should be anticipated, but should not be an excuse for not anticipating the other and usually much more likely reputation risks that can come from within the firm. Enterprise risk management experts, and surely even many neophytes, are fairly adept at identifying exposures and events that can impede their organizations. What is much more difficult is measuring the potentially adverse impact of risks, making this the biggest X factor in the ERM process. Consequently, it is quite challenging to determine how much risk exposure an organization can “tolerate”—that is, the extent of adverse risk impact a company can absorb so that the attainment of its goals will not be jeopardized. It is equally difficult to assess a company’s “threshold” to absorb these risk consequences—that is, the cross-over points beyond which significant strategic and operational changes need to be made. What Might Your Stakeholders Do? A series of approximations and assumptions. Identification of elements/variables to measure. People work on problems they think they can solve, and they avoid those they don’t think they can solve—due to complexity or political reasons. Elements in the latter category won’t be addressed. They are slow and cautious in reacting to new information and reluctant to admit ignorance or mistaken assumptions. Solutions to risk mitigation may exist, but might not be implemented without inordinate study—paralysis by analysis. They look at fewer as opposed to more perspectives, possibly missing a better solution. They often place greater value on what they themselves have created than on what others have done, and may well miss out on higher-order thinking generated by a group and on the critical perspectives of others.